Police were busy yesterday afternoon circulating the picture of Danielle Camillia Gaysma in the hope of finding the girl who was reported missing, until the gruesome discovery. The incident comes at a time when the country is getting ready to celebrate Child Protection Week. Danielle’s body was discovered in the family’s deep freeze by police, leading to the arrest of her 48-year-old stepfather. He is expected to appear in the local magistrate’s court this week charged with murder. 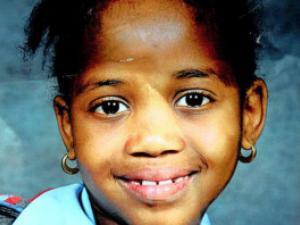 The girl, who was a Grade 4 pupil at Eldocrest Primary School, was first reported missing on Saturday. Police said their preliminary investigations linked the suspect, who lived in the same house with the girl’s mother, to the murder. “This matter is sensitive and we are not going to reveal more details at this stage,” police spokesman Sam Shibambu said. Shibambu said they had launched a massive search after the family reported the girl missing. He said they were shocked when they found the body in the deep freezer at the family home. Shibambu said the man had been with the family members who came to the station to report the case. According to Shibambu the man showed serious concern about the case and kept on asking if the police had made any headway. “Since then he has been checking if there had been any developments in our investigations and we thought he was just concerned as a loving father,” said Shibambu. The stepfather was arrested a few hours after police in the area had circulated the girl’s photo.